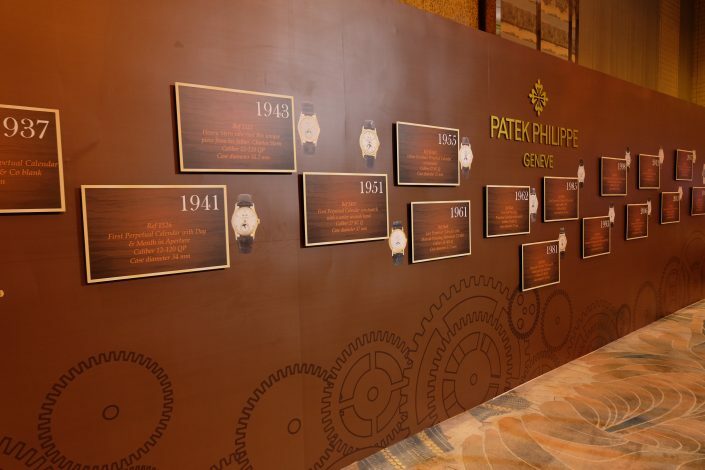 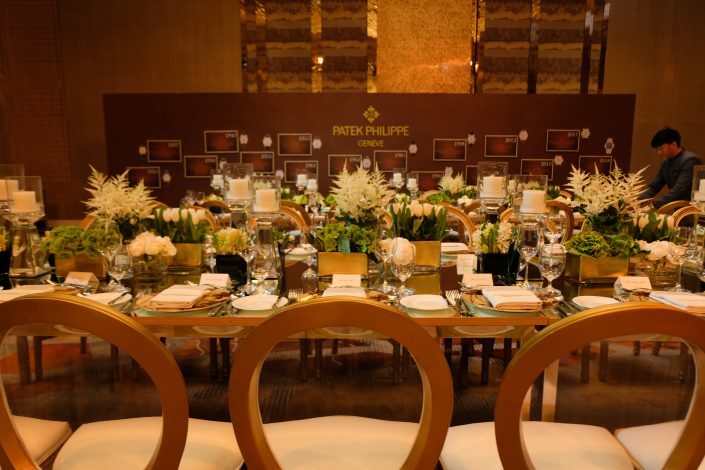 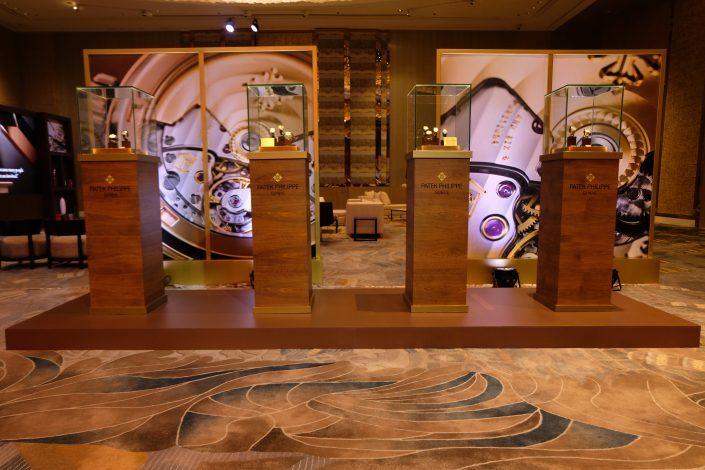 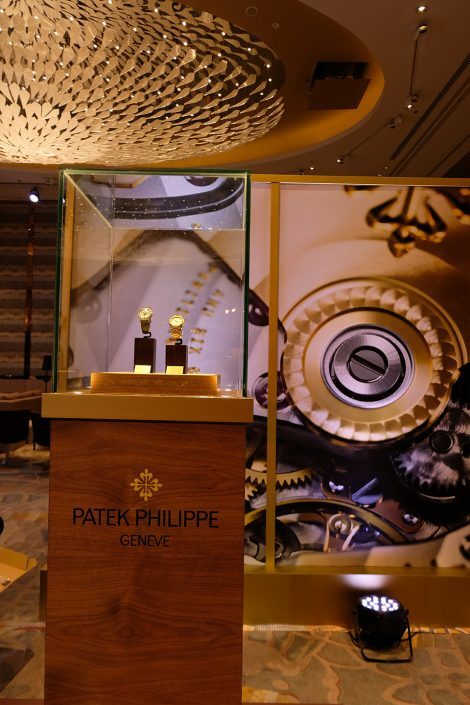 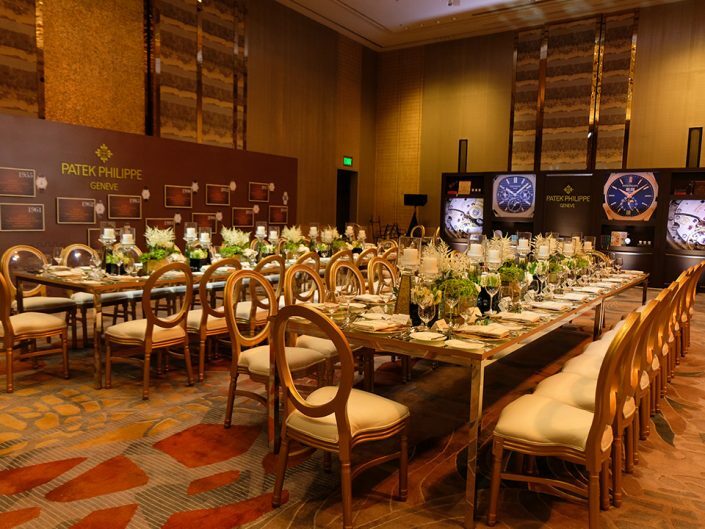 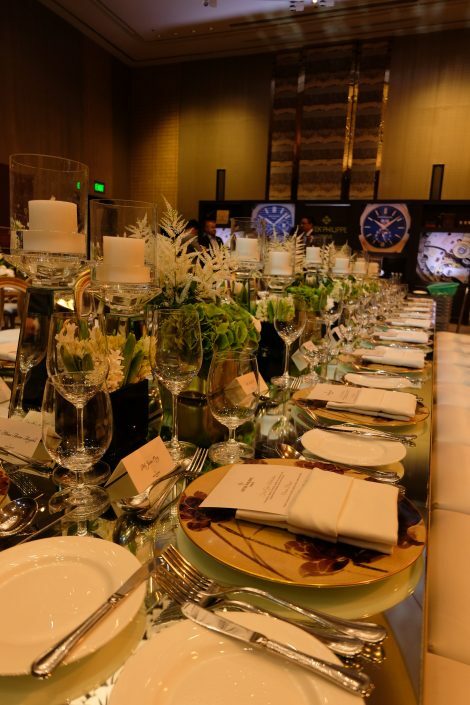 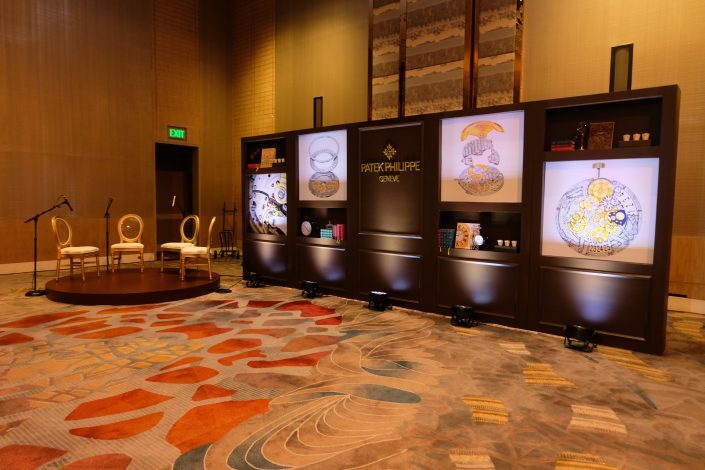 Memory of the Future—through a private viewing of Patek Philippe, with a design that has been crafted by the world’s finest, Moss Manila delivered to its promise to provide exceptional craftsmanship. 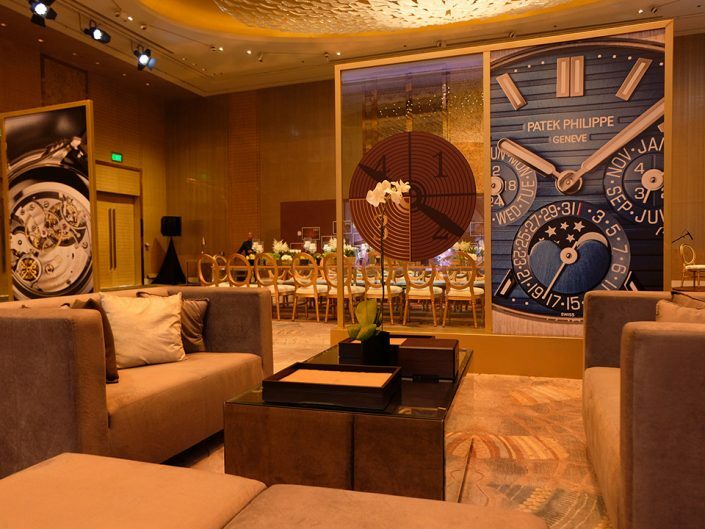 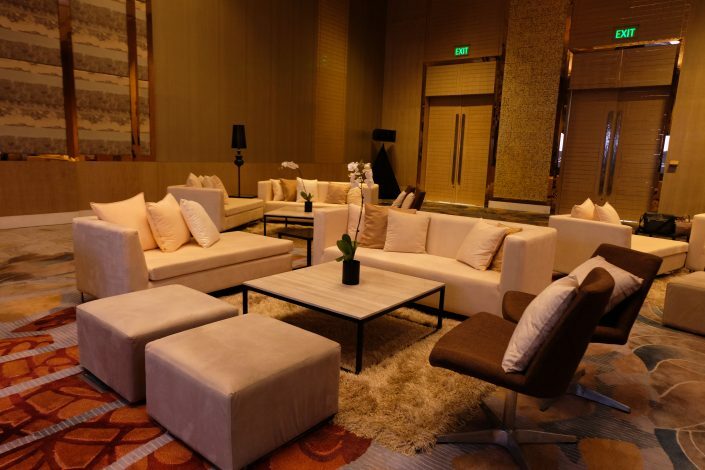 Providing 20ft x 8ft photowall with lasercutCalatrava pattern, 20ft x 8ft high panel with molding to serve as artifacts’ shelves, 28ft x 8ft Timeline wall, 8ft x 8ft metal frame dividers, watch towers/vitrines and a mix of taupes, various shades of gray and creams for the lounge set up. 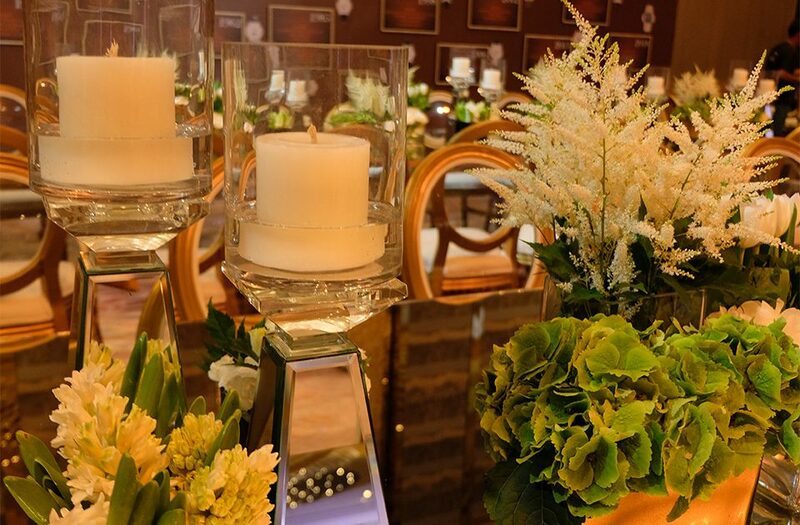 Ending the night with a parade of white astilbe, peonies, hyacinth and lisianthus that exudes elegance and sophistication which represents their brand.